Prince Louis Rwagasore was a national leader of Burundi and a hero fighting for independence of the nation from Belgian colonial rule. He was assassinated on October 13, 1961 and the anniversary of his death is known as Prince Rwagasore Day in Burundi. Prince Rwagasore was the son of King Mwambutsa IV and Thérèse Kayonga. He studied briefly in Belgium in 1958 and in the same year established a nationalist political movement the Union for National Progress (UPRONA) in Burundi and fully devoted himself to the movement towards independence. He married a Hutu woman in order to overcome the Hutu and the Tutsi ethnic divisions, that were supported by the colonial rule. On September 8, 1961 Rwagasore won a victory in the election for the Legislative Assembly of Burundi and the next day he was declared Prime Minister. One of his aims was preparation of the country for independence. Prince Rwagasore was assassinated on October 13, 1961, two weeks after he had assumed office. His assassin was a Greek Georges Kageorgis, who allegedly was paid by the pro-Belgian Christian Democratic Party. 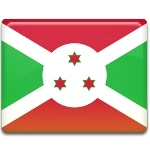 Anniversary of Prince Rwagasore assassination is a public holiday in Burundi.